What will the post-2014 Afghanistan look like? The foreign forces are leaving Afghanistan by 2014 without stabilizing it. This will open up the possibility for the return of Taliban. The prospect of national reconciliation is not also bright. In this situation what should Afghanistan do? What are the challenges India will have to face in post 2014? Those are the million dollar questions. Before entering in those topics, we should briefly recapitulate the most important past incidents of Afghanistan. The Taliban seized Kabul on 27 September, 1996 and established Islamic Emirate of Afghanistan, being supported by Pakistan (military support) and Saudi Arabia. They imposed on the parts of Afghanistan under their control, their political and judicial interpretation of Islam issuing edicts especially targeting women. In this situation Massoud and Rashid Dostum created United Front to fight against Taliban. The Taliban defeated Dostum’s Jumbish military forces in 1998. According to a 55-page report of United Nations, the Taliban while trying to consolidate control over northern and western Afghanistan committed systematic massacres against civilians. Then Pakistan chief of army staff Pervez Musharraf was responsible for sending thousands of Pakistani to fight alongside the Taliban and Bin Laden against the forces of Massoud. From 1996-2001 the Al-Qaeda terrorist network of Laden and Ayman al-Zawahiri became a state within Afghanistan. In early 2001, Massoud asked international community to provide humanitarian help to the people of Afghanistan. On 9th September, 2001 Massoud was assassinated by suicide attackers and two days later about 3,000 people were killed in U.S.A. The U.S. government identified Laden, Khalid Sheikh Mohammed and Al-Qaeda organization based in and allied to Taliban’s Emirate of Afghanistan as the perpetrators of the attacks as a result the U.S. lead forces attacked Afghanistan and Taliban government was toppled. New government under Hamid Karzai was formed. At the same time international security assistance force was established by U.N Security Council to assist Karzai administration and to provide security for the Afghan people. While Taliban began regrouping inside Pakistan, more coalition troops entered, escalating the U.S.-led war. Meanwhile the rebuilding of war torn Afghanistan kicked off in 2002. The Afghan nation was able to form some democratic structure over the years and some progress was made in key areas such as governance, economy, health, education, transport and agriculture. NATO is training Afghan armed forces as well its national police. ISAF and Afghan troops led many offensives against Taliban but failed to defeat them fully. By 2009 a Taliban-led shadow government began to form in many parts of the country complete with their own version of mediation court. In 2010 international conference of Afghanistan in London, Afghan president Hamid Karzai said that he intended to reach out to the Taliban leadership. Supported by NATO, Karzai called on group leadership to take part in a Loya Jirga (mass meeting usually prepared for major events) meeting to initiate peace talks. These steps have resulted in an intensification of bombing, assassination and ambushes. Some Afghan groups believe that Karzai plans to appease insurgents senior leadership at the cost of democratic constitution, democratic process and progress in the field of human rights especially women’s rights. Af-Pak relation began in August, 1947 after the partition of India which created the dominion of Pakistan (Now Islamic Republic of Pakistan). Relation between two countries have been negatively affected by issues related to Durand line, the 1978- present war (i.e. Mujahidin, Afghan refugees, Taliban insurgencies and border skirmishes) including water and the growing influence of India in Afghanistan. The withdrawal of Western forces at the time when Afghanistan is far more destabilized and insecure since 2001 inevitably raises several issues of concern. After a decade long direct engagement and intervention, indifference and apathy are growing in Western approach and strategy towards the future of Afghanistan. The Pakistan politico-military stalemate, effectively maneuvered by the Pakistan-backed Taliban and their allies, has made the war increasingly unsustainable for the West. The Taliban guerrillas along with Haqqani network have quietly succeeded in raising the rate of attrition among the Western forces who may have been winning the battles but not the war. The Taliban and their allies despite not winning the battles appear to be gaining and upper hand in the war. While Western forces suffered from differing rules and perceptions about the war of terror, the Taliban and their allies have unsteadily consolidated their influence and made common cause against a vastly superior Western military. These have worked to the advantage of the Taliban and their Pakistani sponsors. The U.S. would like to maintain some form of military presence in Afghanistan for years, beyond 2014. However, it is doubtful whether it will stabilize the country. Meanwhile the three components of U.S. current strategy –reconciliation process with the top insurgent leadership operating from Pakistan, rebuilding of Afghan national forces (ANSF); and security transition to the ANSF by 2014-is least likely to give expected results. Presently Afghanistan appears to be on the verge of entering into the prolonged phase of anarchy and violence. The whole idea of negotiating ‘peace’ with Taliban is not very bright. It is opening up yet another opportunity for Pakistani establishment to re-engineer the politics of Afghanistan. The U.S. may temper Pakistani geo-political aspiration in Afghanistan. The U.S. and Afghanistan signed a strategic partnership agreement on May 2; 2012.The May agreement says that the countries would initiate, ‘negotiation on a Bilateral Security Agreement’ soon after signing the strategic partnership agreement. So, U.S. may retain its force in Afghanistan. Much would, therefore depend how effective the limited U.S. presence would be after 2014, and how the West would deal with Pakistan regarding the matter. However, the agreement is deemed necessary for the survival of the government in Kabul and strengthening the Afghan Army and police. The leadership question is also important here. It is still not clear if both presidential and parliamentary election could be held in 2014-15, and how credible the electoral exercise will be if ISAF pulls out or draws down from Southern and Eastern parts of the country which would inevitably fall under the direct control of Taliban. Finally if the election could not be held then what are the possible alternatives available in terms of political arrangement to ensure that there is no political vacuum in Kabul. This could be an opportunity to temporarily bring U.S. and Pakistan together if both reach a consensus on post Karzai leadership. This may subsequently lead to defection from the Taliban, with so called ‘moderate’ Taliban joining the government. But it is not very accepted theory to the vast section of Afghan people. In case of failed political transition in 2014, there is a possibility of greater tension between U.S. and Afghanistan, on one hand and between U.S. and Pakistan, on the other. This may lead to greater anarchy or even a new round of civil war in parts of the country. There could also be a special operation by U.S. commandos against Haqqani network and Taliban leadership based inside Pakistan (like operation Geronimo on May 2, 2001). Based on some broad historical determinants and political trends, an attempt can be made to build the most likely future scenario as the Afghan conflict and war enters the fourth decade. Afghanistan with virtually all state institutions destroyed with no single authority enjoying National legitimacy; and with people’s perception severely polarized along social and ideological lines, is likely to remain in a state of socio-political ferment for decades to come. Since the overthrow of monarchy in 1973 and subsequent destruction of old political order, no political system or affecting national institution could evolve in the country. The western attempt to create new political system after the overthrow of Taliban in 2001 has failed for various reasons. The perceptions about state, its orientation and authority, distribution of power, and forms of governance are often too divergent and vary from region to region and one ethnic group to another. As 2014 approaches and most of the American troops withdraw, the authority of Afghan government is further fragmented and diluted. Thousands of American troops and troops from NATO countries would be stationed in Kabul after the Kabul Washington strategic partnership agreement. The west sponsored reconciliation initiatives continue to be rebuffed by Taliban and Haqqani Network. America however continues to rely on drone strikes and conducts special operation against insurgent leadership operating from Pakistan. President Karzai is unable to hold the post beyond his term and presidential and parliamentary elections might get delayed. The relation between Washington and Islamabad remains tense. Hectic diplomatic efforts are on to build consensus on the composition of a caretaker transitional government. The Taliban continues to gain strength especially in the areas around Kabul; groups from the north build alliances to deal with growing insurgency. Despite differences between U.S. and Pakistan on post-Karzai arrangement, a caretaker transitional government which is recognized by the U.N is appointed in Kabul pending Presidential and Parliamentary elections. As election could not be held even after a prolonged delay due to lack of security and resources, the caretaker transitional government collapses and the Parliament is dysfunctional. By 2020, the joint Afghan-U.S. military facilities are constantly under attack from Taliban and Haqqani network. Defection from Afghan Army and police are frequent. However, West continues to fund Afghan Army. The U.S. carries out some special operation in Pakistan against the top Taliban leadership inside Pakistan and at the same time to build and support a coalition comprising mainly functions from the north and some Pasthun mitia from south and east, including few low and mid level former Taliban commanders. NATO and Russia are working closely to ensure supplies for the remaining American-led force fighting in Afghanistan. Groups from the north are asking for defacto partition of the country. The international community is engaged in a round of diplomatic initiatives to bring various Afghan factions together. Political uncertainty and violence continues. However, India has limited leverages in Afghanistan. It has not nurtured the different section of East. The Pashtuns remains large indifferent towards India. For the non Pashtun groups, India is possible counter-force to the Pakistan sponsored Pashtun insurgent groups, especially Taliban. Also, India hardly figures in western straightly towards Afghanistan and Pakistan. India’s present and relatively huge contribution has often initiated skepticism and critics in view of her historically adversarial relations with Pakistan. It is generally believed that Afghan problem can’t be resolved until India and Pakistan resolve Kashmir issue. 1. India should take long term policy towards Afghanistan. It may be increasingly difficult for India to maintain the momentum of the relationship with Afghanistan beyond 2014 due to lack of effective government in Kabul. The training and capacity building program, India is conducting for Afghans too may get disrupted. So, it is important for India to expand its engagement with various Afghan factions, including Taliban elements willing to work with India. 2. Since Pakistani establishment will always try to deny space for India in Afghanistan, it is important that India develops its leverages within Afghanistan and Pakistan. 3. Due to fractious nature of Afghan politics, India should firmly avoid direct military involvement in Afghanistan. However, as a follow-up to the strategic partnership agreement India signed with Afghanistan October 2011, institutionalizing its engagement with Afghan Army, police and the Afghan intelligences should be a constant endeavor. 4. Lastly, India’s policy should be innovative. India needs to make people-to-people contact with Afghanistan and attract the young generation of Afghanistan through its various policy and schemes. 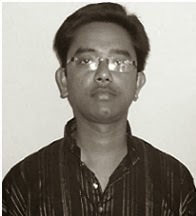 Arghyadip Bhattacharya, M. Sc(Applied Mathematics, C.U. ),K.V.P.Y scholar.Any opinion expressed herein is solely that of the author and Indian Policy takes no responsibility for the facts and opinion laid down in the article.